Take a moment to think about the number of times you saw University President Steven Knapp in person this past academic year. Unless you’re a prominent student leader, your number is probably fairly low. Personally, I remember seeing Knapp at one or two events and while he walked his dog — but only because I have a job in Old Main across the street from his home. It’s understandable that we don’t see Knapp much. He, like all presidents at major universities, is very busy. 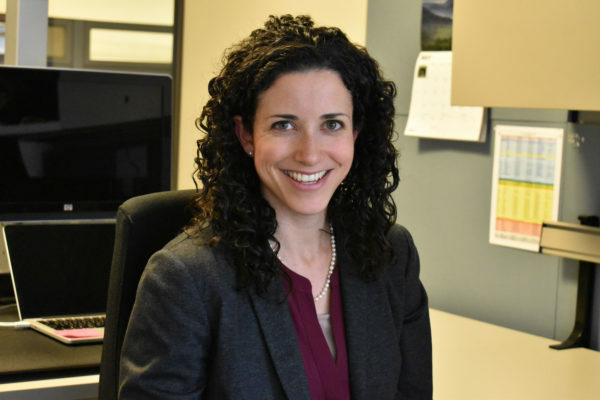 This academic year alone, Knapp has led conferences and traveled to promote sustainability, publicly discussed college affordability and pledged to meet with more faculty. Despite the importance of these obligations, Knapp still receives criticism for not being involved enough in the GW community. And he’s not the only one. Earlier this month Julie Wollman, the president of Edinboro University of Pennsylvania, wrote an essay highlighting the fact that not enough presidents are active in their schools’ communities. Wollman said she has seen numerous benefits to college presidents teaching classes — especially classes for freshmen. Teaching a class would make Knapp much more of a friendly, familiar face on campus. Right now, students may only hear him speak briefly at an event or catch a glimpse of him through his car window. Teaching a freshman class would not only increase Knapp’s visibility, but also allow students to form close relationships with him in their first year. He added that he’s looking into a way he can teach a shorter course, maybe for one credit, that will work more easily with the other aspects of his job. Craig Vasey, chair of the Committee on Teaching, Research and Publications at the American Association of University Professors, told me in an email that it’s best for college presidents to teach a “small first-year seminar or midsize discussion-oriented class” so they can interact more closely with young students. Knapp could teach a course similar to a dean’s seminar, which are already set up so that upper-level faculty can teach small groups of freshmen. The idea isn’t unprecedented among our peer schools. New York University’s president John Sexton taught a freshman seminar on the Supreme Court a few years ago, based on his experience as the Supreme Court editor for the Harvard Law Review. At the University of Miami, president Donna Shalala teaches a class on health care every year, based on her experience as a former U.S. Secretary of Health and Human Services. And Knapp is no stranger to lecturing in a college classroom. He used to teach English literature at the University of California, Berkeley, and specializes in “romanticism, literary theory and the relation of literature to philosophy and religion,” according to his official biography. 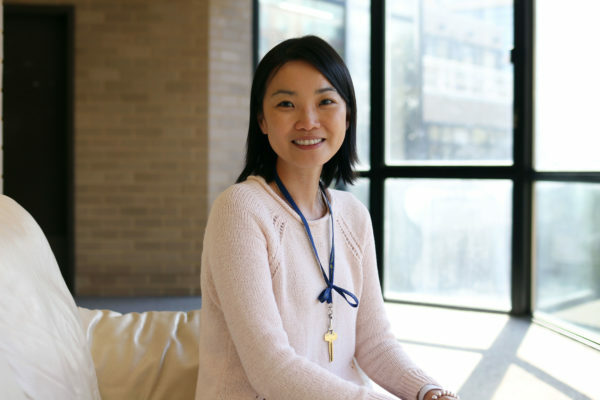 “I always enjoy exposing students to great works of thought and imagination that change the way they see the world, themselves and other people,” Knapp told me. He said his ideal class would have a theme like “the idea of a ‘person’” or a book, like the Book of Genesis, Things Fall Apart or perhaps Wuthering Heights. 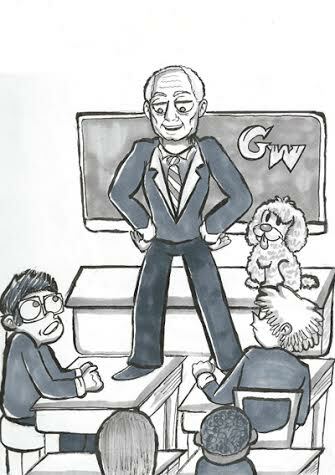 GW’s reputation could stand to benefit from a freshman lecture taught by its president, too. As tuition costs have risen, private universities are often thought of as running more like businesses — a reputation that can make officials seem cold and distant. “When administrators — not just presidents — have no experience of teaching, or have not had that experience in years, they begin to operate like managers of corporations, which is the wrong model for the academy,” Vasey said. For upperclassmen, this may be a lost cause. But by putting himself on the same level as GW’s youngest and arguably most vulnerable students, Knapp would show that he cares about students on an individual level. I don’t doubt that he does, but sometimes, it isn’t always obvious. My dad likes to tell a story: When I visited campus during admitted students days in 2012, he lost track of my mom and me and couldn’t remember how to get to the Marvin Center. A man noticed my dad’s confusion and offered him directions. Only after we left did my dad realize it was Knapp who had helped him, and now my dad jokes that he knows the president of our University. These are the types of stories that freshmen would have if Knapp made himself easily accessible to them — and maybe then, it wouldn’t be so rare to know him personally. 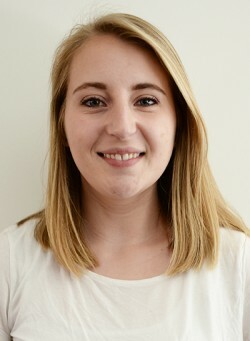 Sarah Blugis, a junior majoring in political communication, is The Hatchet’s opinions editor. Want to respond to this piece? Submit a letter to the editor. This article appeared in the May 11, 2015 issue of the Hatchet.